Manuel Alvarez Bravo was one of the foremost practitioners of visual arts in the twentieth century. 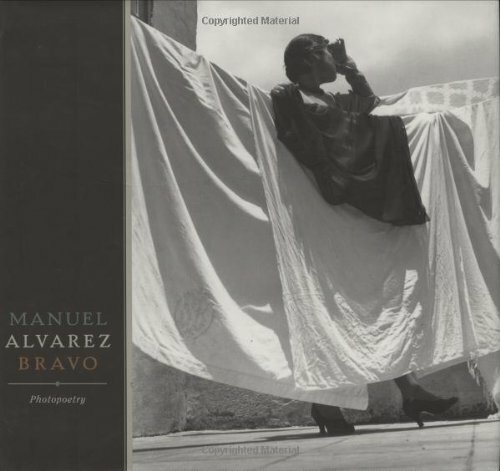 Manuel Alvarez Bravo, the first major retrospective of his eighty-year career, showcases hundreds of iconic photographs and unveils more than twenty previously unpublished images. Featuring landscapes, still lifes, rural and urban scenes, religious and vernacular subjects, as well as portraits of luminaries such as Diego Rivera, Frida Kahlo, Carlos Fuentes, and Octavio Paz, the work is chronologically arranged and richly varied. Three illuminating essays reveal the poetry of Bravo’s photographs—from his use of light and form to his fascination with dreams and his preoccupation with death. This definitive monograph is a powerful tribute to Mexico’s most distinguished photographer.